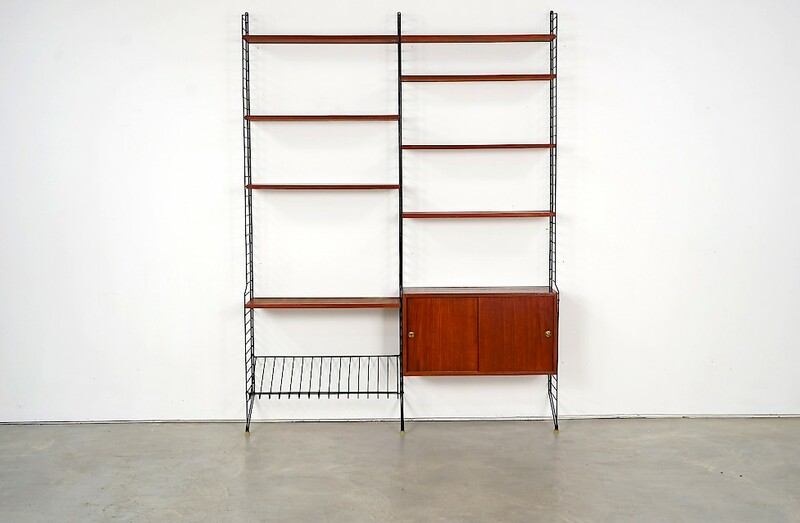 This beautiful, standing string wall unit designed by Kajsa and Nils "Nisse" Strinning is an old design which dates back to the 1950s. Brass fittings and handles characterize the piece. The eight shelves and the teak box as well as the three black ladders of steel are in very good condition with age-appropriate signs of use. Just like the rest of the elements, the magazine rack can be moved easily and at will.